The Nazhan Hotel where I am staying is around the corner and down the block from the Isa Bey Mosque, steps away from the entrance to the ruins of St. John’s Basilica, and down the street to all that is left of one of the Seven Wonders of the World: the Temple of Artemis at Ephesus. Religious history in 1000, 2000, and 3000 year chunks, respectively. And then there is the Ottoman castle on the hill under which I have heard they have found evidence of Neolithic settlement, and the classical era, massive Greek city of Ephesus about a mile outside of town, where Mary, mother of Jesus, is said to have spent her final years. This place is flush with ancient history. My deepest impressions here are associated with the Temple of Artemis. Artemis was a fierce and awe-inspiring goddess, being both purely virginal and simultaneously entirely fecund. She was a huntress and party girl, keeping the company of many nymphs and priestesses. One fellow told me on my way to the temple that he thought she was lesbian. Maybe, but more importantly I feel her devotion to keeping the purity of Gaia’s gifts alive and vital. A few months ago my diviner friend that I mentioned in an earlier post told me I had an ancestor spirit hanging around me that wanted to get my attention and have a relationship with me. 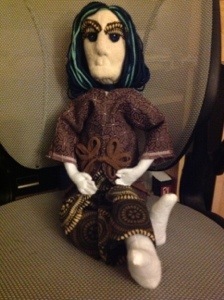 I was instructed to create or buy a doll that would be an anchor through which I could relate to this spirit. Being the crafts person that I am, I elected to try creating one. She turned out better and more expressive than I could have imagined. 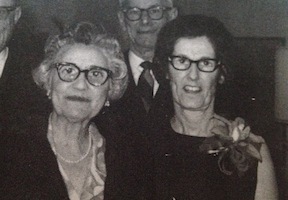 In fact, she looks remarkably like my paternal grandmother, something I could never have done intentionally. I was also instructed to go out to a power spot on the land and do a ritual burial for this ancestor, for my friend saw that she had been dishonored for being a woman of knowledge at a time when that was clearly not appreciated. She had been ostracized, stripped of her name, and died without proper funeral rites. After doing this simple re-burial ritual I was to listen for her name. The name that came to me was Dorothea. The name drew multiple associations for me after hearing it: door of the goddess; golden spirit; the Wizard of Oz’s Dorothy; and my grandmother’s best friend was named Dorothy, whom everyone called Dot. I created this doll, but before coming on this trip, I honestly hadn’t much more information about using her come through. The next piece arrived as I was planning to come to Turkey and was given the name of a hotel in Istanbul that attracted me. The hotel Empress Zoe was built around an old hamam (turkish communal bath house) from the eleventh century. Upon researching Empress Zoe I discovered that she was an empress that outlived three emperors before the people decided that she would be a better choice and should rule together with her sister Theodora. Theodora! Sounds reflective, yes? I took this as a sign that going to Turkey was a good decision. When I mentioned all this to my new archeologist friend and Turkish history buff Elisabeth she said, “Theodora! She’s my favorite empress.” But I didn’t have time to research any more about her until I got here to Selcuk. Bless the Internet. What a resource! I googled “Empress Theodora” and learned of an earlier, different version of the namesake, the one to whom I am sure Elisabeth was referring. Wow, what a woman. She was perhaps the original feminist. And omigod she looks like my Dorothea doll too. Theodora was born into poverty in a circus family. When her father died, she supported the family with a few “tricks” on the side, i.e. she prostituted herself. She was incredibly smart and ambitious though, and became a favorite courtesan, eventually catching the eye of the nephew of the emperor Justin. This nephew Justinian was smitten and married Theodora, who became Empress when Justinian ascended to the throne. They ruled together equally, but some say that it was truly Theodora who wielded the real power. This gal was no slouch. Under the rule of this couple women’s rights were greatly expanded. Property and maternal rights were granted in divorces. If you were an enemy crossing her path, better watch your head, literally. She was known to have ordered a few removed. I understand that she would have needed to be ruthless in order to claim as much power as she commanded. There probably could have been no other way for a woman to rule. It is likely that many men found her threatening and were jealous. The biographer from the court who wrote of her after her death was not kind in recounting her life story. One more detail: Theodora and Justinian were responsible for building some of the greatest monuments in Istanbul, then Constantinople, among them the Aya Sofya. 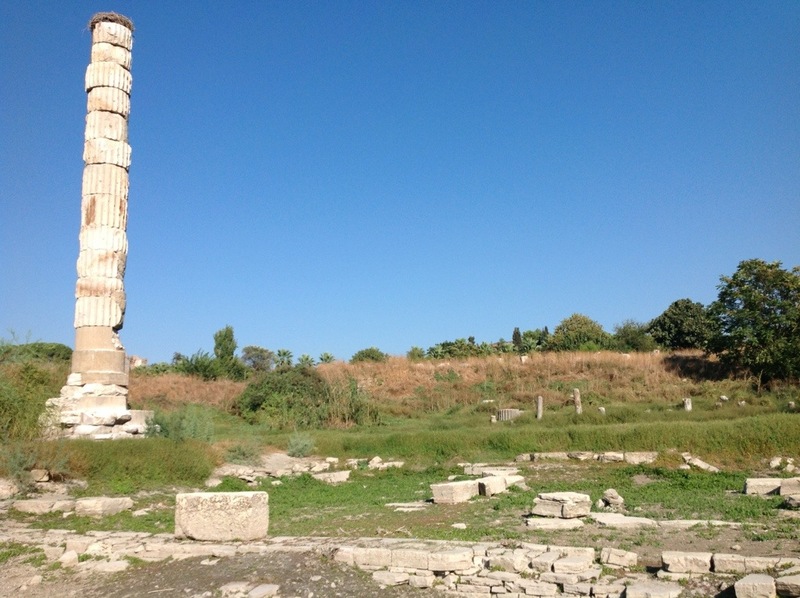 I saw in one reference that they sent workers out to scour the land for “spare pieces” of marble that could be put into this service, among them the many columns of the neglected Temple of Artemis at Ephesus. This is why at this location there is barely enough for the modern restorers to kludge together one misshapen column, upon which the capital is now a stork nest. Now that the story has come full circle, I will go a little deeper into how this is working in me. Dorothea, Theodora, Artemis, and the ancestors of Catalhuyuk, are all present for me right now, as well as whatever other spiritual support may be following in my trail. In the original divining from my friend about Dorothea before I had her name, I was told that she is both my ancestor and also is me. We are part of the same soul, or may be the same soul. So now I am seeing a trajectory of soul lessons from Theodora to Dorothea to me. 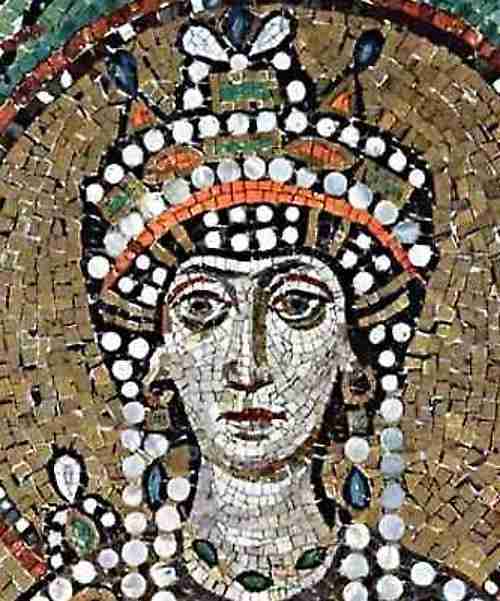 Theodora, a woman of vast power who used it for huge works, although ruthlessly, may have had some posthumous misgivings about how she had run her life. I can see how incarnating as Dorothea in another life in which she was a woman of knowledge and power but was stripped of all societal rights might have served her with some important contrasting soul lessons. In my life I have always had an intense fear of hubris, of expressing it myself. It makes sense to me that this would be a normal outcome of having had the experience of these two women within me. 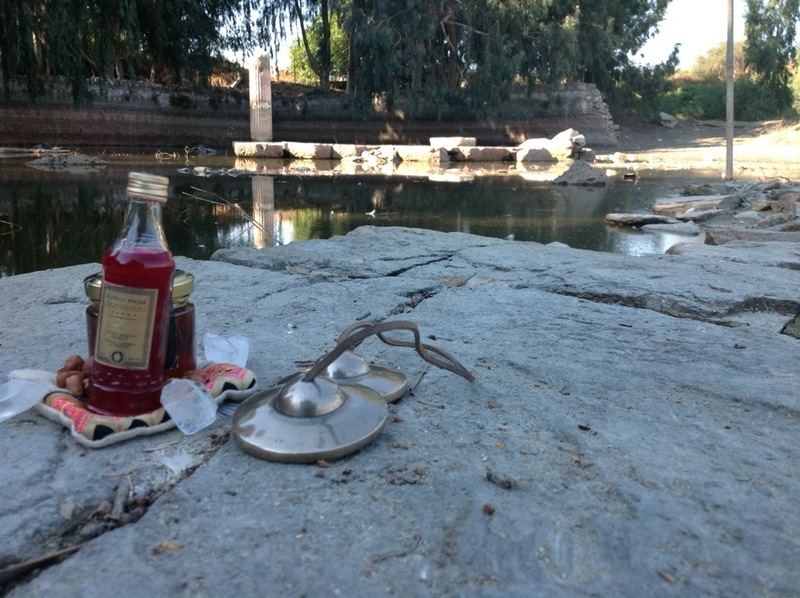 Today I went out to the remains of the Temple of Artemis with an offering of pomegranate juice (to represent the blood sacrifice), hazelnuts, honey (liquid gold), and a few quartz crystals that have been traveling with me since I left Petaluma. I found a spot near one end of the huge complex, a relatively solitary rock jutting out into the submerged swamp, with the company of turtle priestesses and geese still getting love from the goddess. I set up a tiny altar, rang my highly resonant tingsha bells, and began apologizing to Artemis for the acts of Theodora. It has occurred to me that Theodora may have helped some of the neglected relics of Artemis’ temple to remain in holy situ, being incorporated into a building that will still command spiritual respect for many years to come. This entry was posted in Travel, Turkey and tagged Artemis, Aya Sofya, Empress Theodora, Ephesus, Hagia Sophia, Selcuk, temple of Artemis, Turkey. Bookmark the permalink.